Anyone who takes security seriously has come to terms with the fact that detect, respond, recover just aren’t working anymore. It’s time for a game changer – a way to stop worrying about all the attacks that threaten browsers, email, and application downloads. The trick is to contain the malware and prevented from taking hold. That’s where virtualization-based security comes in. 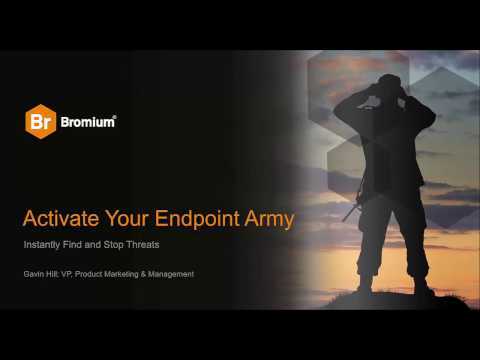 Watch this webinar to see how your endpoints become an army of defense that protects your enterprise from breaches.